Scott Francis Construction is a full-service, custom home builder that offers new construction, remodeling, and renovation services. 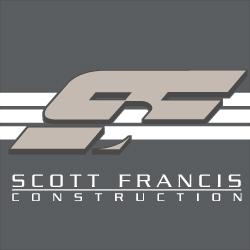 As a licensed, bonded, and insured contractor with more 25 years of experience, Scott Francis Construction has established a trusted and respected presence in Arizona. We have completed work in Carefree, North Scottsdale, New River, and in the East Phoenix Valley. Scott Francis and our team communicate closely with our clients from conception to completion of every project. Realizing changes happen throughout the course of any project. Our construction team remains flexible, working with homeowners at every stage to ensure satisfaction for years to come. We believe the quality of your experience throughout the homebuilding process is as important as the quality of the final product. Due to their extensive new construction experience and a unique understanding of the latest luxury trends, Scott Francis Construction can accommodate whatever style of home or remodeling that suits your tastes. From traditional southwestern to the latest in contemporary living, we are the Arizona homebuilder best positioned to meet your unique luxury needs. You can trust Scott Francis Construction to deliver your new construction or other exceptional home improvement project on time and on budget. Contact us today to learn more about our custom homes and to see how we can help you build the home of your dreams.